Number: It can be a number or a valid numerical expression and it represent the exponent value. If the number argument is positive number, LOG() function will return the output. If the number argument is Negative number, LOG() function will return NaN (Not a Number). If the number argument is Null, LOG() function will convert the Null value to Zero. If the number argument is Zero, LOG() function will return Negative Infinity. Next, We used Zero as argument. Next, We tried LOG() Function with Null argument and it return Negative Infinity because Null value will be converted to Zero. 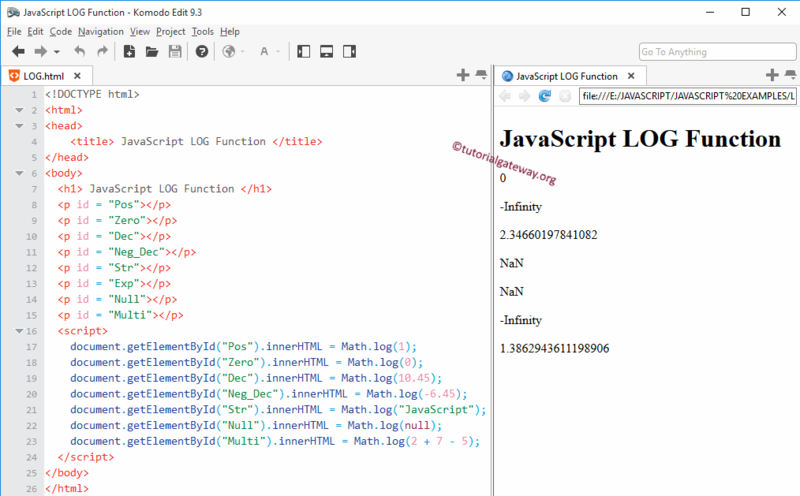 In the Last statement, We used the LOG() Function with multiple values.